Field Notes "National Crop Edition"
So, when I arrived home today, there was this lovely box from my Field Notes Colors Subscription waiting for me - the Field Notes "National Crop Edition". I hadn't read about this edition prior to opening it, so I was quite surprised at what was included in this thoughtful package. Living in rural Minnesota, I felt a bit of pride for our rich agricultural industry as I went through the contents. First, you get this cool little Field Notes crop patch, which includes the six crops represented in the notebooks. Looks pretty cool, right? I think I might affix this to my hiking bag, or maybe the cargo pants I use for yard work. Ok. Now for the notebooks. I'll let the pictures speak for themselves. As you can see, the colors of the notebooks match each crop, plus you get little tidbits of information on the back cover. Underneath all of the notebooks, tucked in the bottom of the box, was this crop map. I think it's interesting to consider how each of these crops has had a profound impact on the history, economies, lifestyle, and the migration of people throughout U.S. History. Of the different Field Notes releases that I've seen, this one is my favorite. I think it is one the most thoughtful set of notebooks I have seen, though much of this may be my appreciation for the agricultural history of the U.S. At any rate, I loved receiving it, and I recommend getting your hands on a set, especially if you have some green thumbs/farmers in the family that might like to receive it as a gift. I received an e-mail asking about finding the perfect pen for signing books, and I wanted to open this question up on Economy Pens to see what everyone else recommends, so please comment and help this guy find some new pens to try! "I am desperately trying to find a pen to sign books with. I have spent hours researching Uni-balls and Pentels and Pilots and Sharpies and I still can not tell what the best type of pen is for signing the title page of a trade paperback. I need something that dries quickly (which I guess means no gel pens) and something with no acid (archival quality), and low bleeding (no liquid inks) but something that is smooth. Suggestions I have heard are the new Sharpie pens, Jetstream from Uni-ball, which supposedly has a new hybrid ink, or the Energel Deluxe pens from Pentel. I thought this would be easier than it has turned out to be, and any recommendations you could give would be wonderful"
Alright folks, the April Carnival of Pen, Pencil and Paper has arrived! If you haven't seen some of these blogs before, you may want to add them to your favorites and check out their archives. 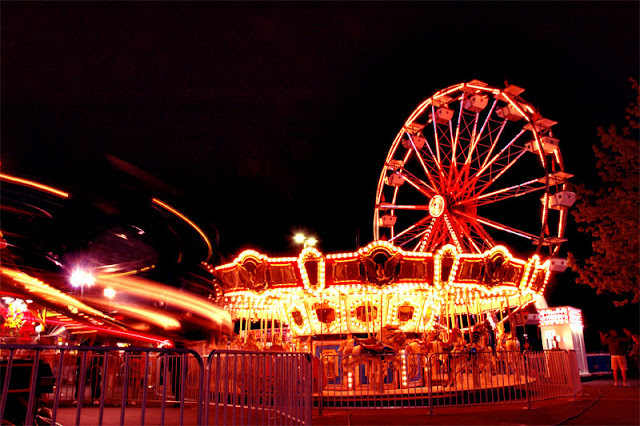 If you like the postings (and the Carnival) please leave comments! Seth, of Good Pens, presents Baltz Fine Writing Instruments "The Carraway"
Tyler Dahl (Tyler Dahl Fountain Pens) reviews the "Mead Moleskine"
Cheryl, of Writer's Bloc, discusses a few options in "What can you do with extra new or used notebooks, paper, pens and stationary?" Liz Andra Shaw tells an office supply story in "You Can't Make This Stuff Up"